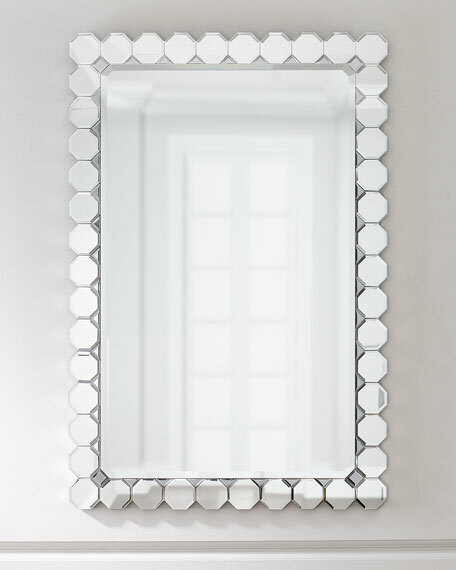 Clear and grey mirror with silver color on frame to create an attractive appearance. 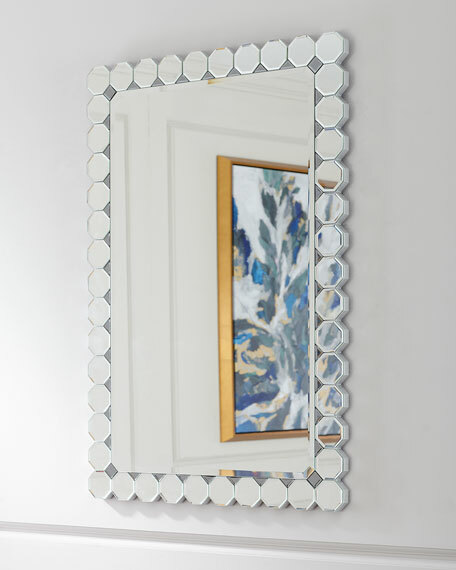 Handcrafted mirror with octagon-shaped mirror border. 30"W x 1"D x 45"T.
Weight, 25 lbs. Boxed weight, approximately 50 lbs.